Betting is not limited by the casino games. Betting is about gambling spirit and everything that goes with it. Crazy bets are not only known in roulette and blackjack. Since the humanity exists there are people who ask "Haven't you got the guts to do that?" or crazy guys, who buck the tiger multiple times. That is how crazy betting results make us laugh or sadden. 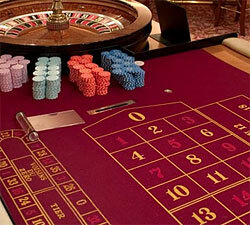 Gamblers are only those who play online slot, roulette, blackjack or other games at casinos. They are a specific caste. Let's figure out, what they are doing to inscribe their names in history. About a century ago a man called Harry Bensley betted 21 000 pounds that he will take a round-the-world trip and nobody would recognize him. The conditions were tough: to have only one change of underwear at once, to push a pram, to find a wife (the real history tells he was possibly married by then), a man had to accompany him to make sure he did everything correct, the proof that he was in some city or town was a signature of a famous resident of the place. He stared his trip in 1908 and finished in 1914 because the World War I started and he was in Italy then. Nobody knows where the truth ends and the tale begins in this story. According to some people, he received reimbursement of 4 000 pounds, but again, it is not a confirmed fact. Another gambler David Threlfall came to the bookie and betted 10 pound on odds of 1 000/1 in 1960 that a man would walk on the Moon by the end of 60s. We all know that Neil Armstrong stepped on the Moon in 1969. Lucky David, he received 10 000 pounds. The first man who swam the English Channel was Matthew Webb, who later betted his life against $10 000. He claimed that he would swim through the Whirlpool Rapids near Niagara Falls. Three years after his wedding he decided to incarnate this crazy intention. He did not raise interest to the bet, as many people supposed it to be suicidal. He passed the first part of the way but in the place where the river "touched" the whirlpool. Water was the last thing he saw in his life. One man from Murmansk, Russia lost his wife in a poker game. Andrei Karpov offered his wife as a bet, which was accepted by Sergey Brodov. When he lost, Sergei wanted his "winning". It was the moment when Karpov's wife learned the truth . Is it enough to say that she left her husband for the winner? Vegetarian Howard Lederer was paid $10k for eating a cheeseburger. I do not think that he ever regretted his meat deed against his vegetarian beliefs. Ashley Revell from England betted everything he had in Las Vegas casino. Learn more about his bet! You will be surprised how things came up to this man.